XL Pools Ltd. are fully approved members of SPATA – ‘the Swimming Pool and Allied Trades Association’. SPATA is a member of the British Swimming Pool Federation and of EUSA, the European Union of Swimming Pool and Spa Associations. SPATA run a highly competitive annual award scheme to recognise the most innovative members work, and the top prizes are recognised not only by UK and Ireland members but by European companies, too. Entries into the competition are anonymous and SPATA contacts customers directly to obtain insight on the customer’s satisfaction with on how far the SPATA member has met their specification and needs. Choosing to build and install your swimming pool with XL Pools means that you can add peace of mind to high levels of satisfaction and enjoyment. We’ve worked hard to earn our SPATA membership and we will continue to do so, to retain it. 2018 SPATA AWARDS – XL Pools awarded triple gold, pool of the year and swimming pool contractor of the year. This achievement for us as a company means a lot and is payoff for all the hard work and effort put in by our staff. 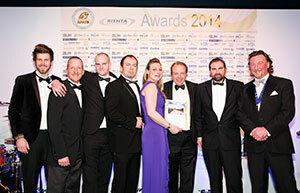 We are exceptionally proud to be contractor of the year again and look forward to another successful year ahead. 2015 SPATA AWARDS – XL Pools awarded triple gold, double silver and swimming pool contractor of the year. This is a real achievement for us as a company and demonstrates our ongoing commitment to quality in all areas of swimming pool design, construction and installation. 2014 SPATA AWARDS – XL Pools awarded triple gold and one bronze for our pool installation. This is a real achievement for us as a company and demonstrates our ongoing commitment to quality in all areas of swimming pool design, construction and installation be it Concrete, Liner or One Piece. To go alongside our new awards, we are please to announce our new website which showcases our work beautifully. If you are looking at a new swimming pool or looking at refurbishing an existing installation, it is a great source of inspiration for you. Don’t forget we offer a no obligation, free of charge site consultation to all customers.